Things I Love (for VIOLIN) - Violin Sheet Music, Free PDFs, Video Tutorials & Expert Practice Tips! * I have no affiliation with any of these items and receive no financial compensation for sharing these items here. I love spreading inspiring ideas to help you bring out the best in your music making so I created this page "Things I Love" as a resource list to share with you things that I have used in my violin teaching over the years and had success with. Some of the items listed here are things that have stood the test of time and worthy of praise such as my Korg metronome which has been dropped 100 times in 15 years, rarely needs a battery replacement and still works fine. Other resources may be lesser known products worthy of spreading the good word about like the Poly-Pad shoulder sponge. The Poly-Pad is one of my favorite shoulder pads for younger students. Don't be fooled when you see similar looking products with a different name - these shoulder pads are special. Poly-pads have an additional curve in the design that other foam pads do not include. I recommend putting a piece of shelf liner between the pad and instrument to prevent slipping and stabilize violin posture. The inventor of these great pads, Michael Kimber, runs a fantastic business, sends them immediately and sells these for a very reasonable price of approximately $7/pad. I have been using these for 10 years and think they are fantastic - great job Michael! 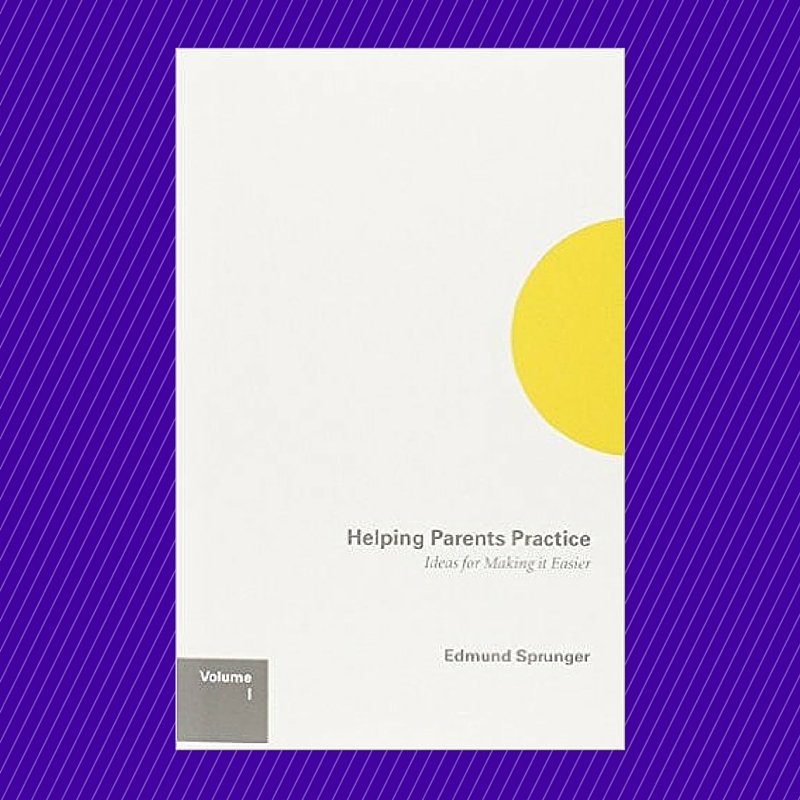 Helping Parents Practice (Ideas for Making it Easier) Volume 1 by Edmund Sprunger is HANDS DOWN my favorite resource to use in supporting parents practicing with their children. I appreciate this book so much that I have practically underlined every sentence in my copy because it is so clarifying and poignant. Thank you Ed and please let us know when Volume 2 is available. 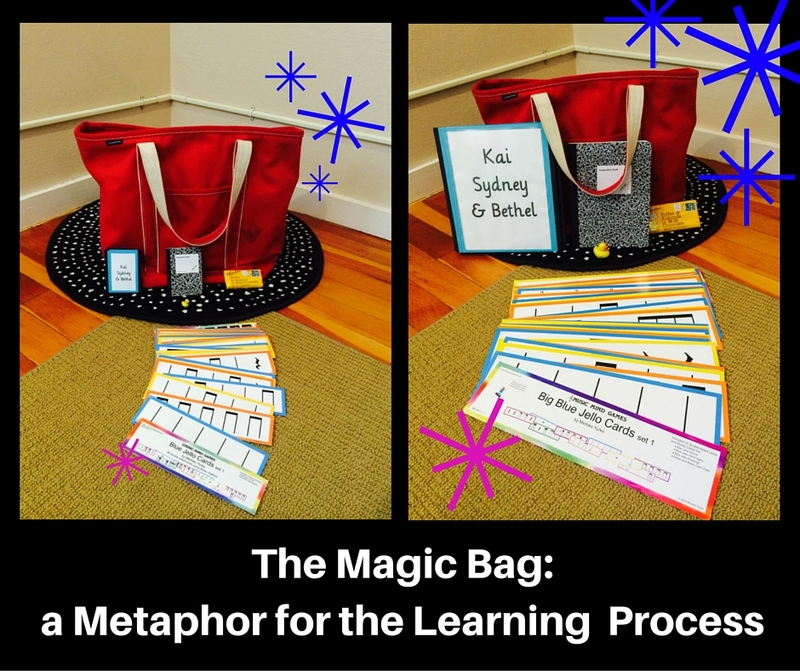 Wouldn’t that be awesome if there was a store filled with creative and useful tools designed just to make practicing fun and magical? The Practice Shoppe is exactly that! Some of my favorite things are the review piece dice (specifically created with the Suzuki Violin repertoire), highlighter taper and the violin pencil sharpener. Lastly it is worth mentioning that the prices are very fair and reasonable which makes these resources accessible. Thank you Leslie for making this store for all of us and please keep us posted of new items. ​Visit The Practice Shoppe HERE. ​By the time I had finished graduate school I literally had a box full of broken cheap electronic metronomes. A student give me the Korg metronome (pictured here) as a graduation gift. It was an expensive model (approx. $50 in 2001) and not something my student budget would have ever purchased. It took about 10 years for me to fully appreciate this gift because during this decade I dropped this metronome more times than I can count, used it daily and rarely replaced the battery. The woodblock sound and adjustable volume are also great qualities for this product. Now, 15 years later it still works great, I still use it almost everyday, I rarely replace the battery but I am careful not to drop it as much anymore. At this point whenever a family in my studio asks what metronome I suggest I highly recommend KORG! Rhythmic Training by Robert Starer is one of my favorite teaching resources to transform violinists into well rounded musicians. Rhythmic Training is a book of rhythm etudes that start simple and by the end of the book the complexity of the studies are mind boggling. I have my students march, speak and clap the rhythms on their legs with both right and left hands. After this is successful they move onto the next etude with their march/clap/speak and play the previous one on their violin using open strings and marching. It can take a while to coordinate all of these things together but once the student gets the hang of it they establish dependable foundations for accurate rhythmic playing and confident music reading. Here is a practice video I made for my students with Rhythmic Training exercise #18. This is a particularly tricky one and also gives you an idea of how you can use this book with your students. If you have been with me from the beginning or worked with me directly you know what a big fan I am of the Blue Jello Cards. I think these are one of the most incredible contributions to music education and the easiest, most successful and *FUN way to teach music rhythm reading to young musicians. The Blue Jello cards are part of an entire music theory curriculum called Music Mind Games created by Michiko Yurko. I had the serendipity of working with Michiko when I lived in Washington DC and her ideas, materials and teacher training are top notch. It was in her teacher training workshops that I finally synthesized music theory concepts that two degrees in violin performance with college and graduate level music theory classes had failed to help me understand. *Honestly, these are an absolute blast and my students do not even know they are learning because these cards are so satisfying.! Thank you Michiko for your contribution to music education and please keep us posted of your work. Visit the Music Mind Games website HERE. 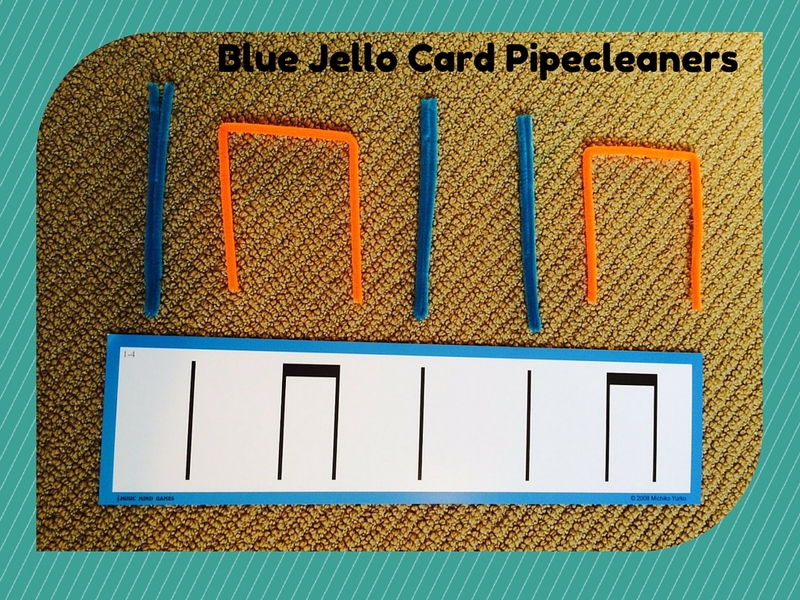 Click HERE for a blog post sharing my teaching sequence and how I fully utilize the Blue Jello Cards specifically for string players. Below is a video I created for the Khan Academy teacher talent search that shows how I used different sizes of Blue Jello Cards to make review magical. Pinterest - OK, lets be honest - most of us are probably trying to limit our online time so that we can focus on being present to the loved ones in our life and stay focused on our passions like violin playing and teaching. ​I had always heard of Pinterest but before I started “pinning” all I could think of when I heard of Pinterest was “I need another social media site in my life like I need a hole in my head.” It was suggested when I started the Music for Young Violinists project that I join Pinterest and I am so glad that I did, in fact, this site was designed for someone like me who loves sharing ideas through pictures. I describe Pinterest as a virtual bulletin board of visual ideas. There are so many fantastic teaching ideas from like minded teachers on Pinterest that it truly has become a worthy use of my online time. If you are seeking some new ideas I suggest perusing the music teaching subjects on Pinterest. Visit the Music for Young Violinists Pinterest page HERE. The Safari LTD Good Luck Minis are perfect for using on instruments. They are rubber, small and amazingly adorable. They come in such a wide variety of animals and creatures and I think after collecting for the past 5 years I might have all of them. ​You can buy these for around $6/pack at Michaels Craft Store and at the Safari website. I also find them at toy stores and gift shops.